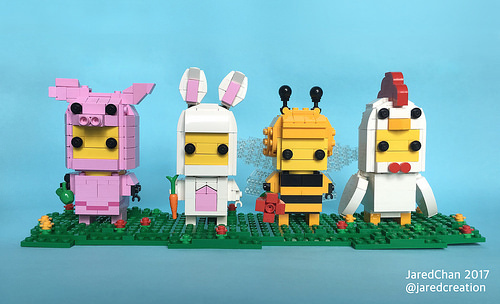 The animal suit characters from LEGO’s Collectible Minifigures line have proven to be highly popular and rather hard to find. The result: many crumpled blind packs left in every retail case, due to heavy violation by human fingertips in search of a pig- or chicken-suited minifigure. 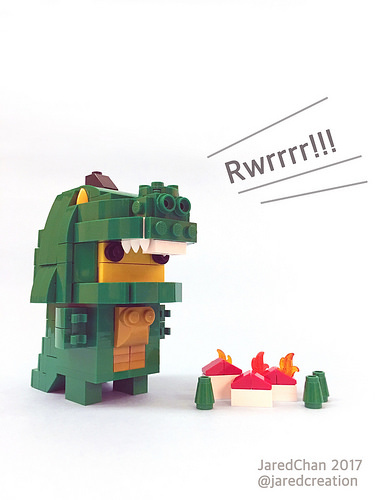 Jared Chan decided to stop looking and build his own – in a slightly different scale. And thanks to Jared’s talents they look just as cute in Brickheadz form. My favorite? Lizard Suit Guy on the rampage! I really hope Jared works on the rest of the suit family members, just to satisfy our completionist needs.